The Village of Suffern Parking Guide provides resources and information to assist you in parking in the Suffern Business District, Municipal Parking Lots, and the NJT Rail Station enhancing your experience by enabling you to park with greater ease.Whether you are new to our Village or have been part of our community for many years, we thank you for being an integral part of our municipality. Daily parking is defined as between the hours of 6:00 a.m. and 3:00 a.m. Overnight Parking Permits are available for purchase at the Parking Department Office for designated overnight parking lots ONLY. Parking is available in Village of Suffern Municipal Parking Lots, without a permit, between the hours of 4:00 p.m. and 2:00 a.m.On weekends and holidays, daily parking is available without a permit between the hours of 6:00 a.m. and 2:00 a.m. in the Village of Suffern Municipal Parking Lots. Please see the Parking Lots and Zones Section for additional information regarding parking permit requirements. Daily Permits can be purchased at the Parking Department Office,using the Parkmobile Daily link on the Parkmobile page of this web site at www.parkmobile.us, or by using the Parkmobile App from your phone. Monthly Permits can be purchased online or at the Parking Department office (See Online Monthly Permits). Applications for monthly parking permits from the Parking Department Office may also be submitted by mail with a check. Monthly Permits purchased at the Parking Department Office or online will not be active until the first day of the upcoming month. Online Monthly Permits can be purchased from this website using the Online Permit System tab located on the home page or at the following link: https://permixx.parkmobile.us/Permixx/ClientPages/LogOnPP.aspx?SupplierID_4_CSS=57. For additional information please use the following link: https://parkmobile.zendesk.com/hc/en-us/articles/203299580-How-do-I-manage-my-digital-permit. The Zen Desk Link provides step-by-step instructions for common tasks. Village of Suffern Residents will be required to provide proof of residency in the form of a valid driver license, vehicle registration, or an alternative form of proof of residency as approved by the Suffern Parking Department in order to receive the discounted Village of Suffern Resident Parking Fee for Daily, Monthly, and Annual Permits. Annual Permits are only available for purchase at the Parking Department Office. Annual Permit Applications are mailed to current permit holders for renewal in advance of the permit renewal date of June 1. 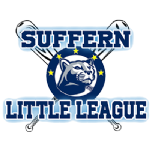 If you are interested in purchasing an Annual Permit in one of the Village of Suffern Municipal Lots, please contact the Suffern Parking Department for further information. Permits are available on a first come, first serve basis. Overnight Parking Permits are available for purchase at the Parking Department Office for designated overnight parking lots ONLY. Commercial Parking Permits are only available for purchase at the Parking Department Office for Parking Lot D ONLY. Merchant Parking Permits are only available for purchase at the Parking Department Office. Merchant Parking Permits are available in Parking Lots A, B, D, and H. Merchants and their employees are required to park in Municipal Parking Lots A, B, D, and H in YELLOW lined permit parking spaces. Street Parking in the Central Business District is limited to patron parking only. YELLOW lined parking spots are for PERMIT HOLDERS ONLY. Patrons can park for a maximum of 3-hours for free in designated WHITE parking spaces in Parking Lots A, B, C and H.
Central Business District Street Parking (Lafayette Avenue, Chestnut Street, Park Avenue, Orange Avenue, Ramapo Avenue) Unless otherwise noted, Daily Parking is available at a maximum of 2 hours in the Central Business District. Please be aware of 15-minute, Handicapped, Loading/ Unloading, and No Parking zones within this area. A Lot – Zone #8301 – Located at Orange Avenue and Lafayette Avenue (Across from the Bus Stop). Daily, Monthly, and Annual Parking Permits are available for purchase. 3-hour free parking is available for patrons in designated WHITE Lined Parking Spots. B Lot – Zone #8302 – Located on Chestnut Street (Across from the Post Office). Daily and Monthly Parking Permits are available for purchase.3-hour free parking is available for patrons in designated WHITE Lined Parking Spots. Parking spaces available will be sold to commuters in accordance with Permit Purchasing Guidelines on a first come, first serve basis. C Lot – Zone #8303 – Located at Orange Avenue and Lafayette Avenue (Next to State Farm Insurance). 3-hour free parking is available for patrons in designated WHITE Lined Parking Spots.Daily, Monthly, and Annual Parking Permits are available for purchase. D Lot – Zone #8304 – Located at Orange Avenue (Under the Thruway Bridge). Permits are sold on a Monthly and Annual basis only. Please note this is a Commercial Vehicle parking lot. F Lot – Zone #8305 – Located down the hill from the Train Station (Adjacent to the Ball Field). Daily, Monthly, and Annual Parking Permits are available for purchase. FREE PARKING IS NOT AVAILABLE IN THE F LOT. H Lot – Zone #8306 – The Hallett Place Parking Lot is located between Orange Avenue and Chestnut Street. 3-hour free parking is available for patrons in designated WHITE Lined Parking Spots.Permits are sold on a daily, monthly and annual basis only. R Lot/Rail Lot – Zone # 8300 – The Suffern Main Bergen-Port Jervis Line is located at Ramapo and Chestnut Streets. THERE IS NO OVERNIGHT PARKING IN THE RAIL LOT. Daily Parking is available in WHITE parking spaces only and are sold on a first come, first serve basis through Parkmobile or by placing cash in the cash box located outside and next to the train station. DO NOT PURCHASE DAILY PERMITS ONLINE IN ADVANCE in the Rail Lot since cash purchases for Daily Parking are also an option at the Rail Lot. Once parked,open the Parkmobile App and key in your parking zone and space number. No permit is required after 10:30 a.m.If Overnight Parking is required, please contact the Suffern Parking Department during normal business hours. Please refer to http://www.njtransit.com for additional information regarding the Suffern Rail Lot.Annual Rail permits are issued on January 1 to applicants renewing their permits from the previous year with remaining permits issued to applicants on a waiting list in the order that requests have been received. Parking Permits must be placed on the inside of the windshield, on the driver’s side, in the lower corner of the windshield.Commercial Vehicle Parking Placards must be placed on the rear-view mirror and the lower left corner of the back windshield. The Permit must be visible at all times. The use of a parking permit on an unauthorized vehicle is prohibited. Permits are non-transferable. Handicapped Parking is available in designated parking lots and in the Suffern Business District for drivers with a visible, valid handicap placard or plates. Parking Enforcement Staff and Village of Suffern Police patrol all parking lot areas. Please adhere to regulations and parking time limits. In case of an emergency, please contact the Police Department at 845-357-2300 (providing make, model, color, plate number and reason). Repeat Parking is not permitted. Once the maximum time has passed, the vehicle must be moved not only out of the spot, but out of the lot or to a new street. A Parking Violation can be paid at the Court Clerk’s Office at the Suffern Village Hall, 61 Washington Avenue, Suffern, NY weekdays between 8:00 a.m. and 3:30 p.m., paid by mail, or paid online. For questions regarding payment of parking violations, please contact the Court Clerk at 845-357-6424. The office is closed Saturday and Sunday.